During the craftsmen’s visit we had the pleasure to visit the Tropenmuseum in Amsterdam, where the fashion curator, Daan van Dartel invited us to their depot. The craftsmen shared their knowledge and analysed ancient pieces from their collection. 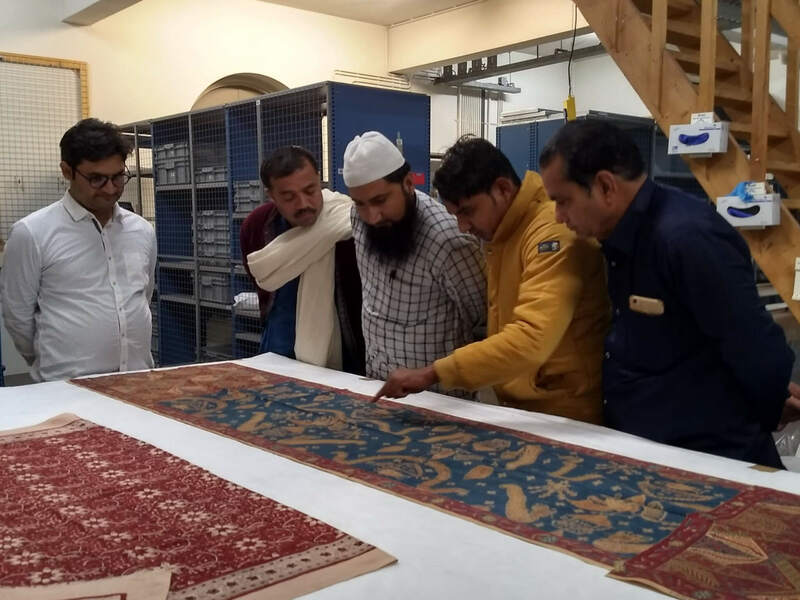 Here you see the craftsmen explaining about the techniques and dyes. Daan used their expertise and knowledge to add missing information about the collection pieces.